From fantasy knife to larger-than-life knife, our new CSGO Bayonet Fixed Blade Knife was inspired by the popular online game. This bayonet knife puts the real deal power in your hand. 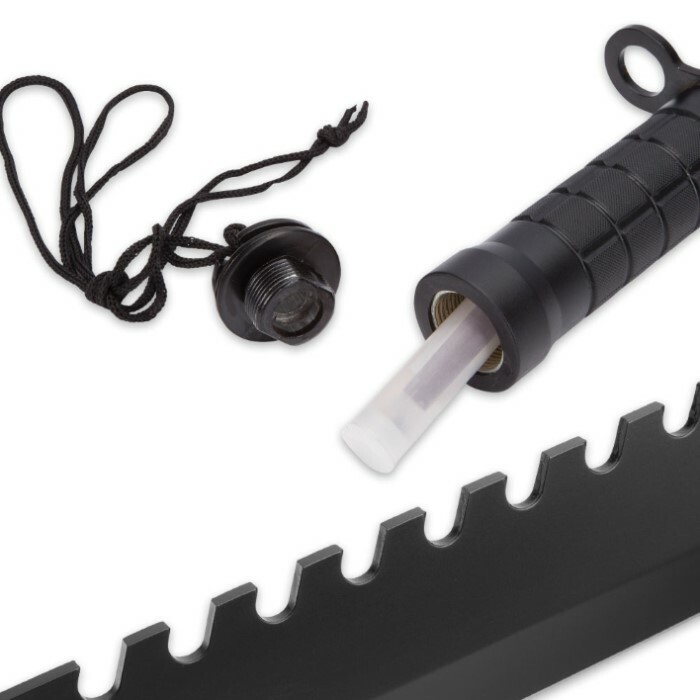 You don’t have to be a fan of the game to absolutely love and need this ultimate survival knife! 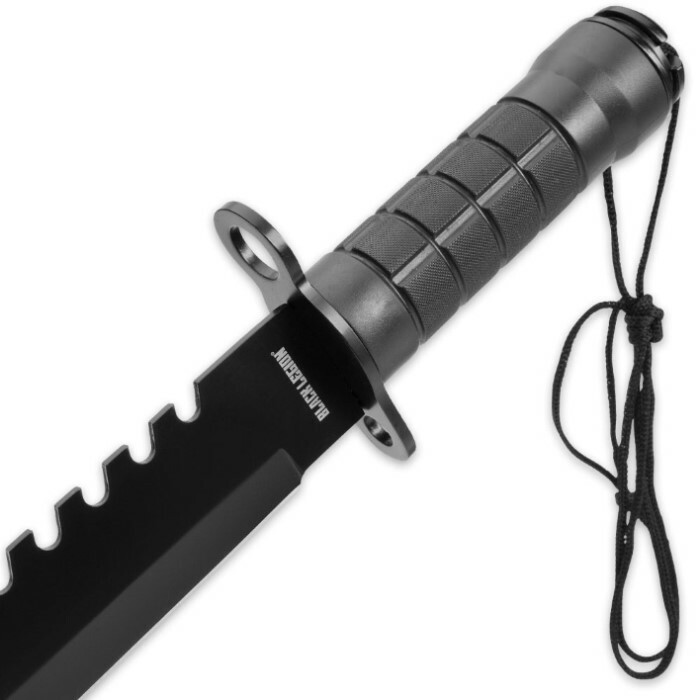 It features a rubber molded handle that is ridged for a secure grip and the 9 3/4” stainless steel blade has aggressive back serrations and a black titanium coating. When the metal pommel is unscrewed from the handle, you will find a survival kit in a plastic tube tucked inside the handle's shaft. 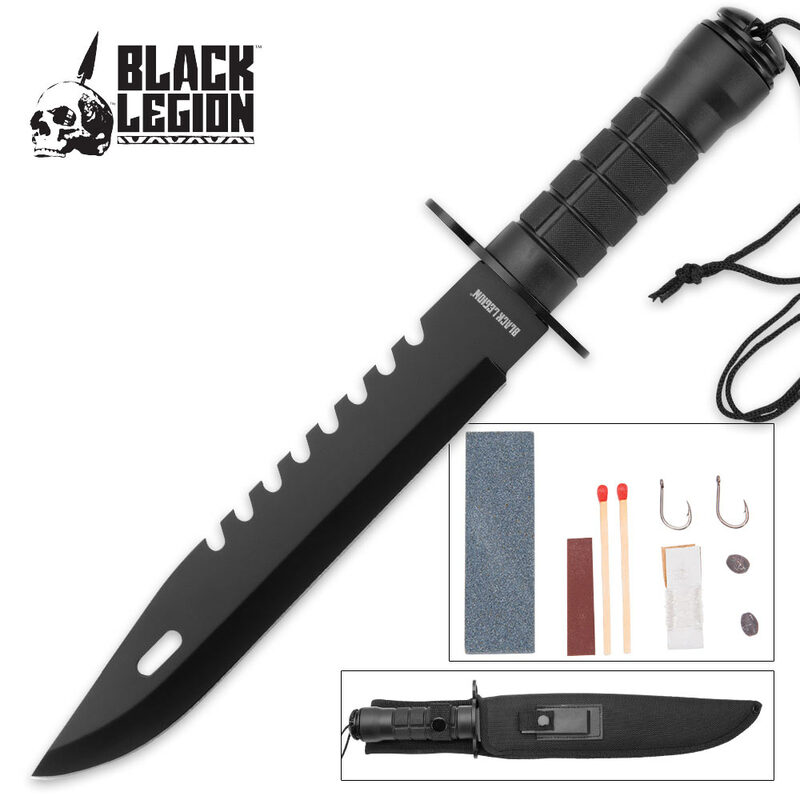 The fixed blade survival knife also comes with a lanyard and It comes housed in a nylon belt sheath that includes a sharpening stone inside an outer pocket. Take it out of the game and into the wild!